Are you looking to bring something fresh and new to your home? Wouldn't you love to change up the interior of your home, to give it a fresh finish, a new start? Are you looking to redo the inside of your home, but you aren't quite sure what you should do with it? Painting the walls of your home is always a good place to start when you are looking to change things up, and we are here to help you with that. We offer the interior painting Mesa, AZ services that you want and need, bringing about the kind of finish that you really want in your home. You can change up the inside of your home through the help of interior painting in Mesa, AZ and we are here to help you accomplish that. We will take care of your painting tasks for you, so that you can relax and simply enjoy the results. We will take care of your painting job in the best way possible, leaving you with the best results you could ever ask for, the kind of results that you need in your home. We will work hard to ensure that you are satisfied with the look that we bring to your home, with the way that your finished paint job appears. 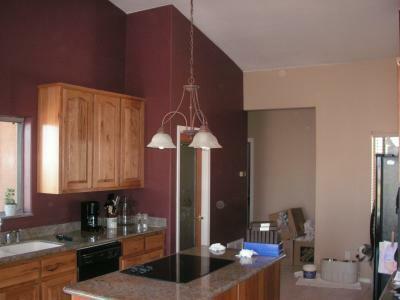 We offer quality work that can't be beat, and we will handle all of your painting tasks for you. Leave the interior of your home to us, and we will change it up according to your likes. We will paint the inside of your home, bringing you the look that you want. We will take care of all of your painting work for you, so that you can relax and enjoy the results.